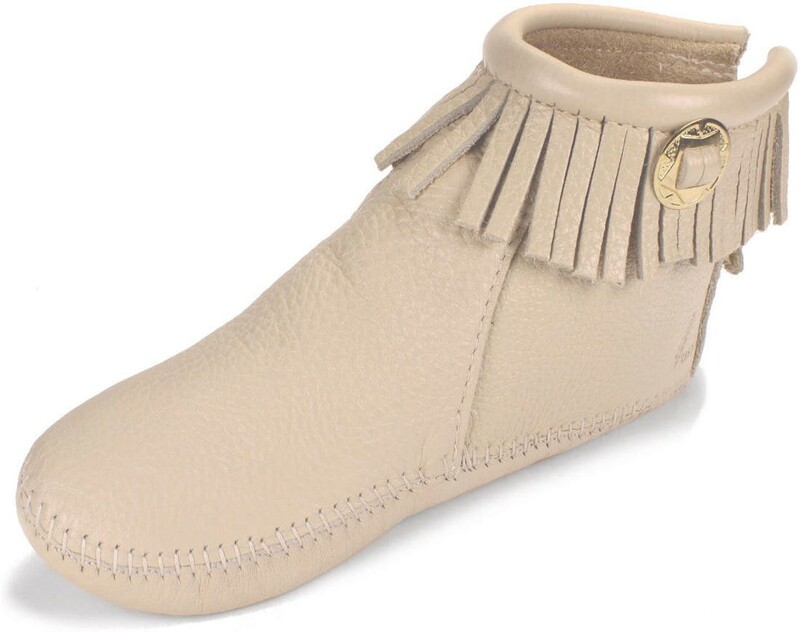 This ankle bootlet with short fringe and back zipper access has been popular for generations and has historically been one of our best selling styles. 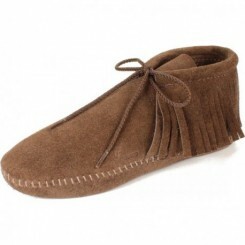 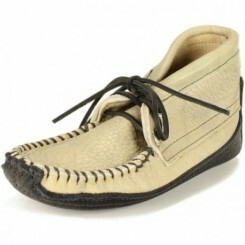 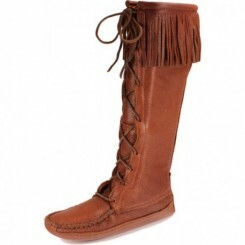 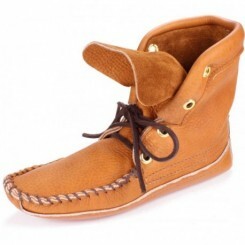 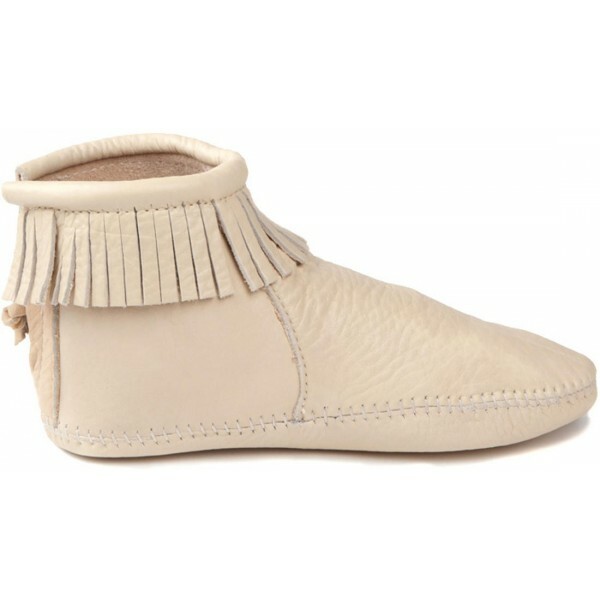 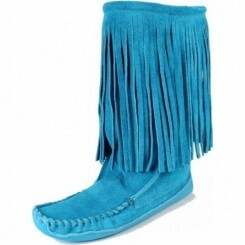 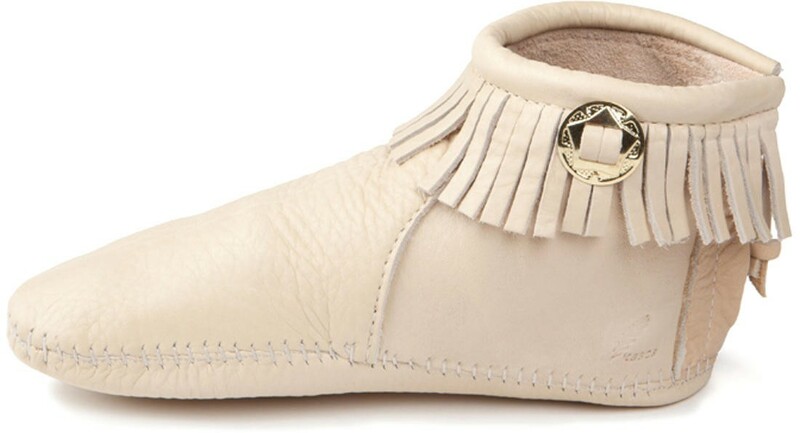 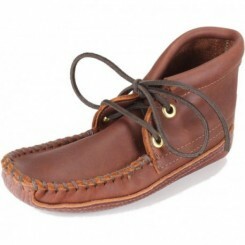 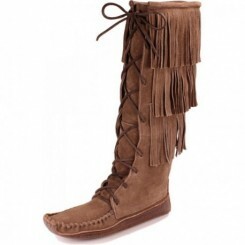 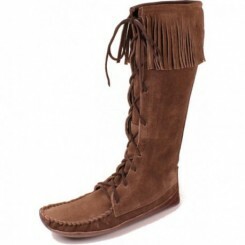 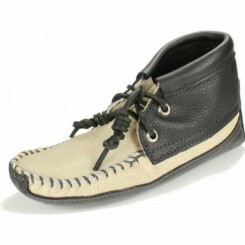 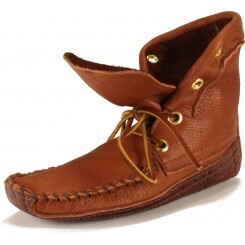 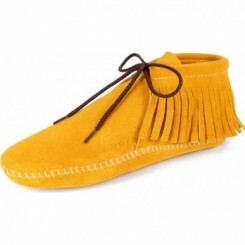 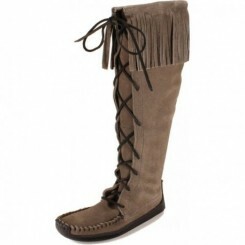 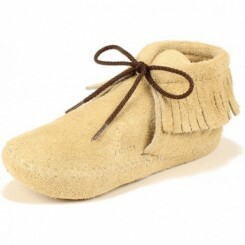 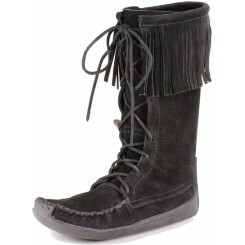 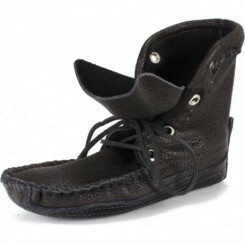 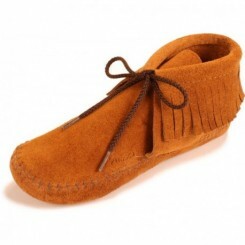 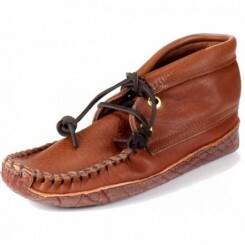 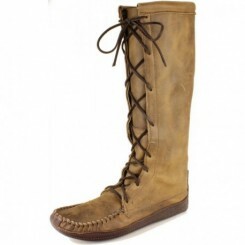 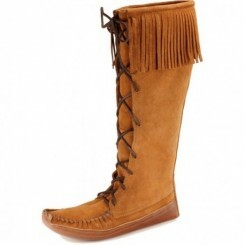 This long-term favorite in "Bone is part of our Essential" line of women's Trimbelle moccasins. 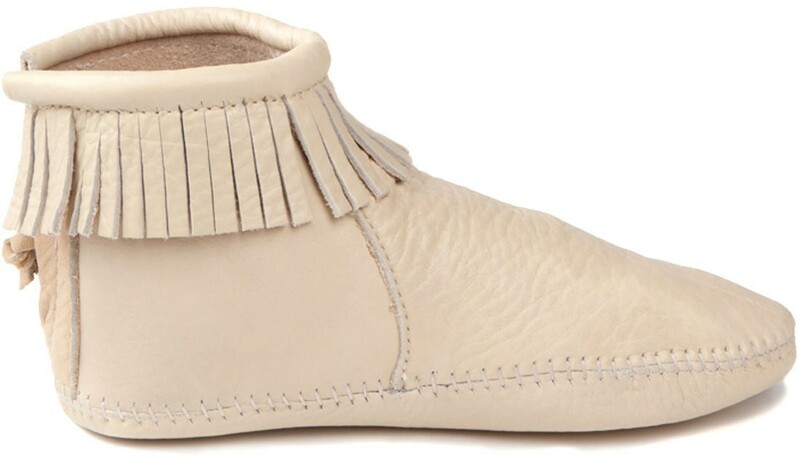 You can't find a better light-colored neutral - it goes with just about anything. 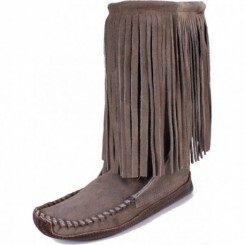 These are appropriate for year round use in warmer climates and are great for spring and summer use in northern climates. 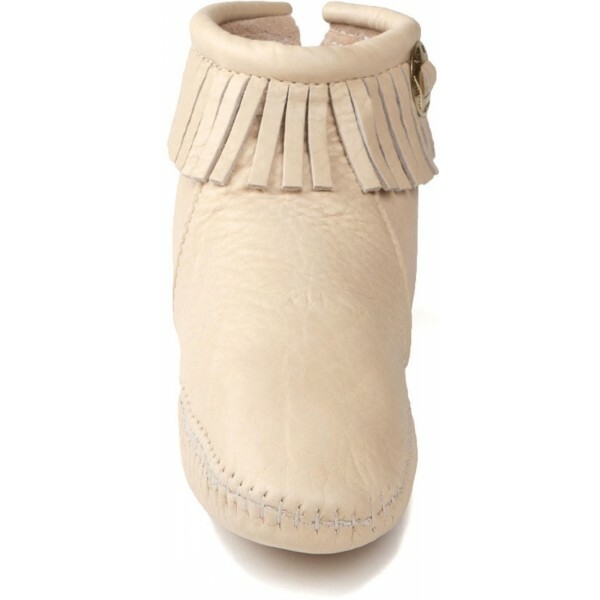 This style of bootlet looks fantastic with skinny jeans or leggings but you'll see them worn with everything from shorts to skirts - or even as a part of the regalia used for powwow dancing.